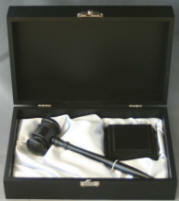 This price is for 10.5"
Great for Speakers, Auctioneers or anyone who wants a bang! 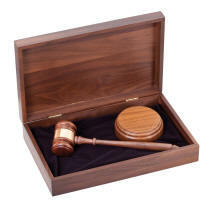 This Ebony Gavel Presentation set exudes contemporary luxury. 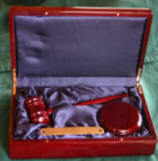 This ebony finish wood box which contains our new ebony gavel and sound block is lined with an opulent platinum colored satin and adorned with a nickel clasp and hinges. Silver flexibrass band also included. 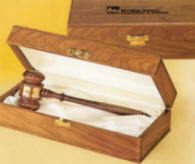 A warm honey-toned finish complements this 24" long gavel. 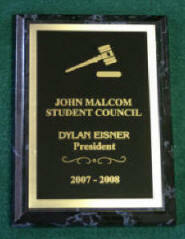 A brass engraving plate allows for all kinds of personalization. 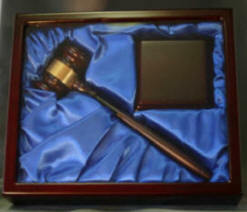 This gavel comes individually packaged in a unique collector's box imprinted with the Declaration of Independence. 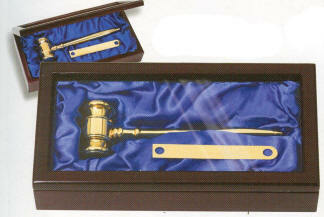 Our great big, oversized, giant 36" long Decorator gavel. 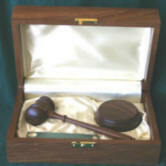 Beautifully finished, Ponderosa Pine this gavel makes an unforgettable impression. 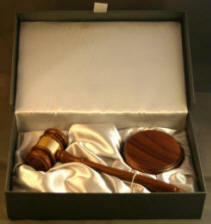 Use it to really make a point, start a conversation or to bring a party to order. 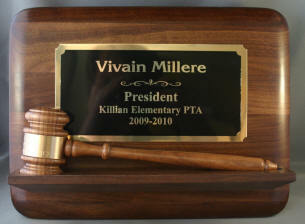 This gavel makes a sterling wall mount. 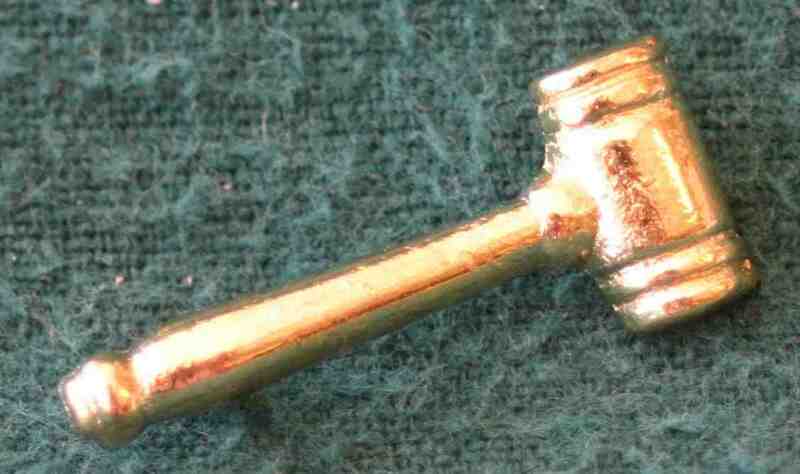 Includes a brass engraving band. 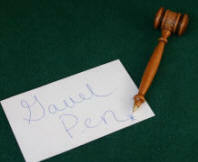 Walnut Finish Mini Gavel 5"
Walnut Finish Gavel Pen 5"
Walnut Finish Gavel Key Chain 3"